The Ahwazi Prisoners inside Iranian prisons are suffering from outrageous and shocking health conditions; They are subjected to systematic physical and psychological methods of torture, which hurt and weaken the bodies of many of them. 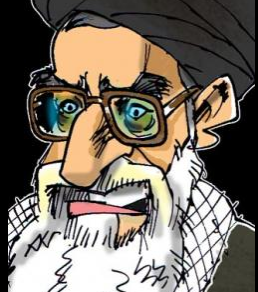 These methods include denial of real medical care, deliberate delay in providing treatment for sick and wounded prisoners, and the oppression, humiliation and torture that they follow detainees’ arrest and interrogators by Iranian regime intelligence officers. The Iranian occupation regime methods of weakening the will and the body of Ahwazi prisoners are both tragic, in a regime, which claims to be (Islamic). 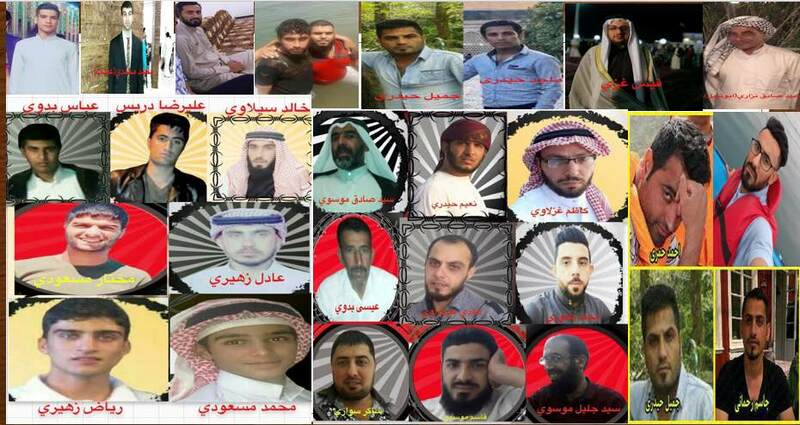 Its political and judicial system sets out torture and psychological pressure against the Ahwazi prisoners and detainees in a precedent that is less than its counterpart on the international level. By monitoring of the prisoners’ health situation, it became clear that the level of health care for the prisoners is very bad; it is formality and almost non-existent, as evidenced by the testimonies of the released prisoners, shows the progressively the increasing number of prisoners getting ill and in many cases led to prisoner pass away. As it turns out to the Iranian jails and detention centres’s medical clinics in All over Ahwaz region, almost the majority are suffering from lack of the minimum level of health services, equipment, medical supplies and doctors to examine and treat multiple prisoners ‘cases. The only magic medicine available is a (pill ???) that provides treatment for every disease. Prison administrations continue to delay the hospital ‘s transfer of incurable cases; and even in case of getting permission, the transfer of sick or wounded prisoners is carried out by an unhealthy closed car, rather than by ambulances. The prisoner’s hands and feet are often handcuffed, and the harsh and cruel behaviour they undergo during the transport process. In this context, it is necessary to review a number of health violations committed by the Iranian prison authorities towards the Ahwazi prisoners held in their prisons and detention centres, most of which are based on the deliberate medical neglect policy and procrastination in the treatment provision, which is contrary to the basic ethics of the medical profession; that caused the death of many sick and injured prisoners. 1 – repeated health negligence and procrastination in providing treatment and refrain from conducting surgeries for the sick prisoners, only after the colleagues of the prisoner patient forms of protest in order to meet their demands. 2 – not to provide appropriate treatment for patients’ prisoners, each depending on the nature of his illness; the doctor in Iranian prisons is the only doctor in the world that treats all diseases with a pill or a cup of water. 3 – Lack of specialized doctors inside the prison, such as ophthalmologists, nose, ear and throat. 4- Prison clinics are having lack of the presence of emergency doctors at night to treat emergencies. 5 – the absence of supervisors and psychotherapists; where there are many psychological cases, which require special medical supervision. 6 – the lack of medical devices to assist people with special needs, such as prosthetic limbs, medical glasses, as well as respirators and aerosols for asthma patients, chronic respiratory infections. 7 – not to provide healthy meals suitable for prisoners, in line with chronic diseases, such as diabetes, pressure, heart, kidney, and others. 8- The lack and absence of rooms or isolation rooms for patients with contagious diseases, such as acute viral infections, and scabies; which threatens the rapid spread of the disease among the prisoners; due to overcrowding inside the detention and prison centres; and also the lack of special rooms for prisoners with severe mental illness that threatens the lives of other prisoners. 9 – Transfer of sick prisoners to hospitals, handcuffed and legs, in freight cars without ventilation, instead of transporting them in ambulances equipped and comfortable. 10 – depriving the prisoners of chronic diseases from taking their medicines, as a kind of punishment inside the prison; in addition to examining the sick prisoners only by looking to them, and not to touch the affected area and talk with the sick prisoners from behind the prison doors. The sick prisoners suffer from poor conditions level of the detention and prison centres, lack of ventilation, extreme humidity and cell’s overcrowding; in addition to the severe shortage of general cleaning materials and pesticides. 12 – the use of torture and abuse against the prisoners, including patients; and the use of gas to suppress them, which exacerbates the seriousness of their health. 13 – punitive measures against the prisoners leading to deterioration of psychological conditions of Ahwazi prisoners, which are: procrastination in providing treatment, transport to city hospitals, denial of visits, and sudden night inspection, and putting the prisoners in solitary confinement cells, and forcing the prisoners to take off their clothes in a humiliating manner. The lacks of medical and health supplies in Ramle Prison Hospital, where sick prisoners are transferred there, there is no different between mentioned hospital and the prison in the procedures and cruel treatment in dealing with sick prisoners. 15 – Women prisoners suffer from the absence of a specialist in women’s diseases; there is only a general practitioner, especially if pregnant women is among the prisoners who were arrested, and need to follow up baby health, especially during pregnancy and at birth. 16 – Pregnant women are forced to give birth, while they are handcuffed, without considering their suffering from labor pains and childbirth. Provision of expired medicines to prisoners. Exploitation of the detainee’s health while investigators interrogate the sick or injured prisoner by pressurizing him/her to extract confessions. Failure to provide treatment for the injured and sick prisoner while he/she is detained in unhealthy conditions; which aggravates his/her suffering and increases his pain, endanger his life, and destroys health. * This report was based on the observations and experiences of some Ahwazis prisoners who were released after serving their prison sentences in Iranian prisons.